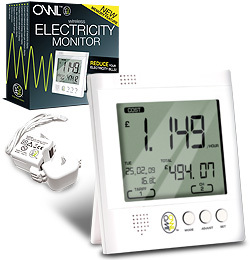 The new OWL CM119 Wireless Energy Monitor is now available for sale in the UK. The CM119, is an upgraded version of the original OWL Wireless Energy Monitor (itself a rebranding of Electrisave – reviewed here). The old version of OWL/Electrisave though very reliable and well made lacked the deeper functionality provided by Efergy and the Eco-Eye wireless energy monitors – primarily their excellent memory functions which enable energy usage data to be stored and viewed later on for analysis. The new CM119 version of OWL finally offers this cumulative memory feature which means it can now compete the the Eco-Eye units, and with the all new efergy elite. Click here to read our new OWL CM119 Product Review. OWL CM119 is available best priced at Ethical Superstore. 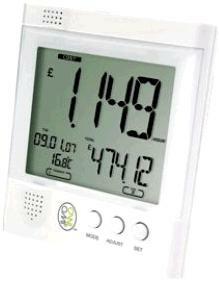 Click here to buy OWL CM119 now for around £33. If you do not need all the features of the OWL CM119, then consider instead the new OWL Micro. This slimmed down version has far less features, is simpler to use, and is much cheaper.